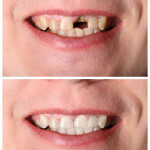 Wholistic Dental Associates is one of a kind dental practice in Houston. As true biological dentists we perform dentistry that is good for the body as well as the teeth and gums. Studies have concluded a link between gum disease and heart health, diabetes, and pregnancies. However, many dentists are not trained in the long term effects of what dentistry does (or could possibly do) to the whole body. We at Wholistic Dental Associates educate our patients on the importance of overall health and how dentistry can play a role in the overall health. We put emphasis on a more natural or holistic approach to dentistry.